This module helps your teams collect and use regular balanced performance data to guide improvement and operational management. It provides a framework for timely measurement to flow up the organisation to aid informed decision making. 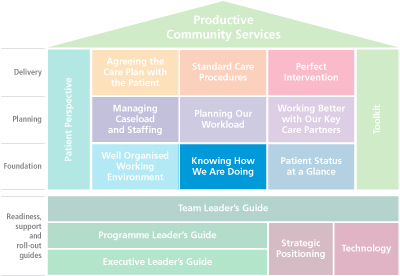 Visit our catalogue to download the 'Knowing How we are Doing' module by clicking on the Productive Community Services house, below.